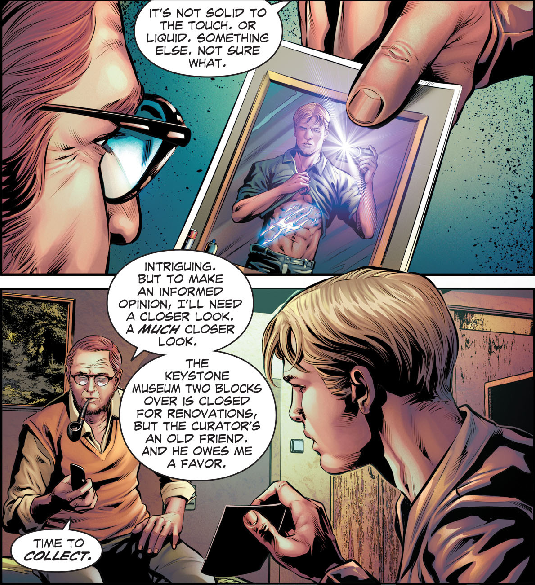 Roy “Charlemagne” Cleary and FKAjason return to review “A Future Lost” from Booster Gold (vol 1) #14 by Dan Jurgens, Mike DeCarlo, John Costanza, Gene D’Angelo, and Barbara Randall. Booster’s in the future and on the run from the cops. 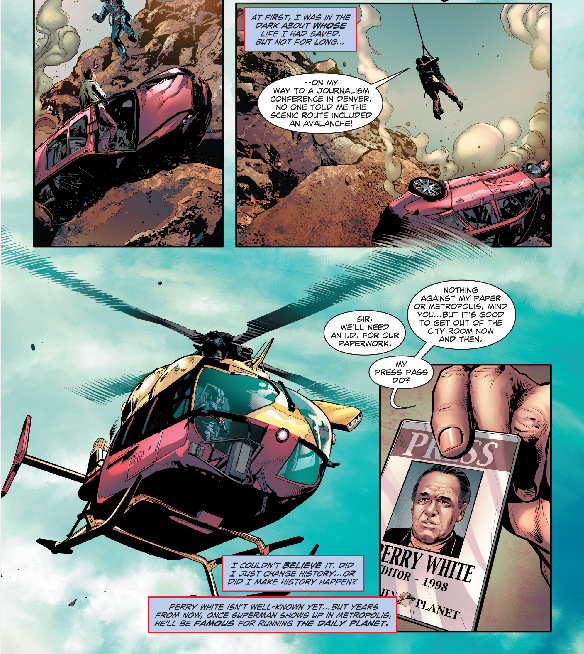 Then we review “Past Imperfect” from The Fall and Rise of Captain Atom (vol 1) #2 by Cary Bates, Greg Weisman, Will Conrad, Ivan Nunes, Saida Temofonte, Kristy Quinn, and Jim Chadwick. 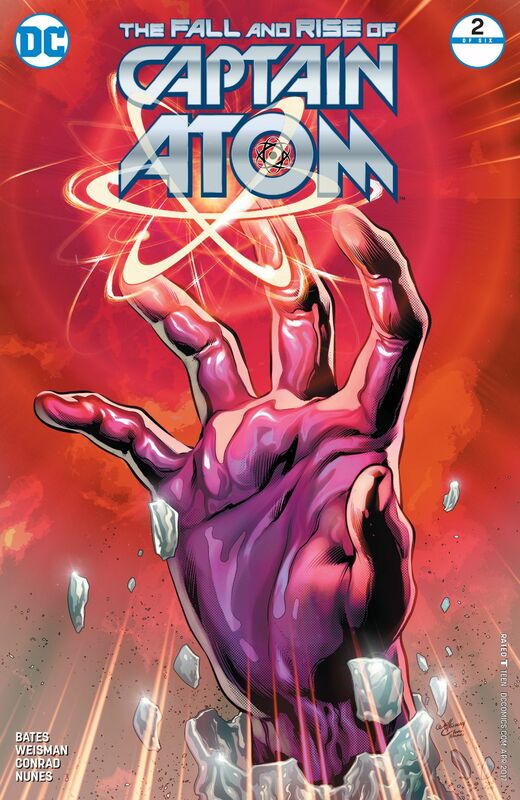 Lost in time, Captain Atom tries to make a new life for himself with disastrous results. 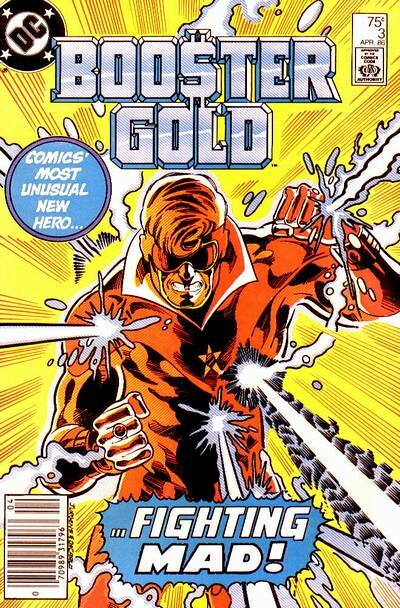 Gold Watch: The month Booster Gold #14 was published, Booster also appeared in The New Teen Titans #29. Click here to play episode 25! Silver and Gold Episode 01: First Issue Excitement! 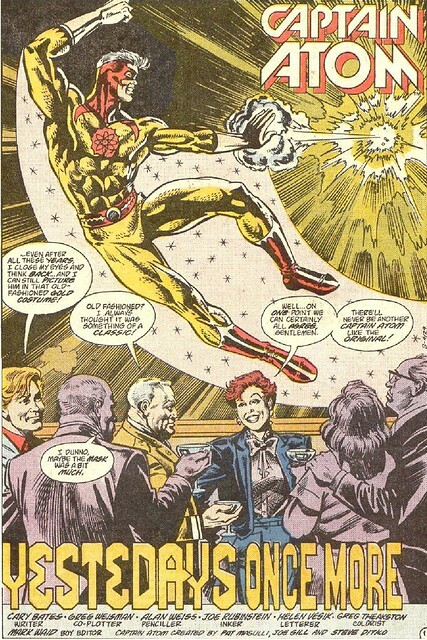 In the first (and possibly last and only) episode of the Silver and Gold Podcast, Roy and Jay Discuss and review Booster Gold #1 (from February 1986 and written and drawn by Dan Jurgens with inks by Mike DeCarlo, colors by Tom Ziuko and letters by Augustin Mas) and Captain Atom #1 (from March 1987 and written by Cary Bates with pencils by Pat Broderick, inks by Bob Smith, colors by Carl Gafford, and letters by John Costanza). The Silver and Gold theme song is Heart of Gold by the Roy Clark Method. This podcast was inspired by Shag and Rob of The Fire and Water Podcast. If response to the podcast is positive, we will continue recording and make this a regular show. Click on the link below to play this episode. 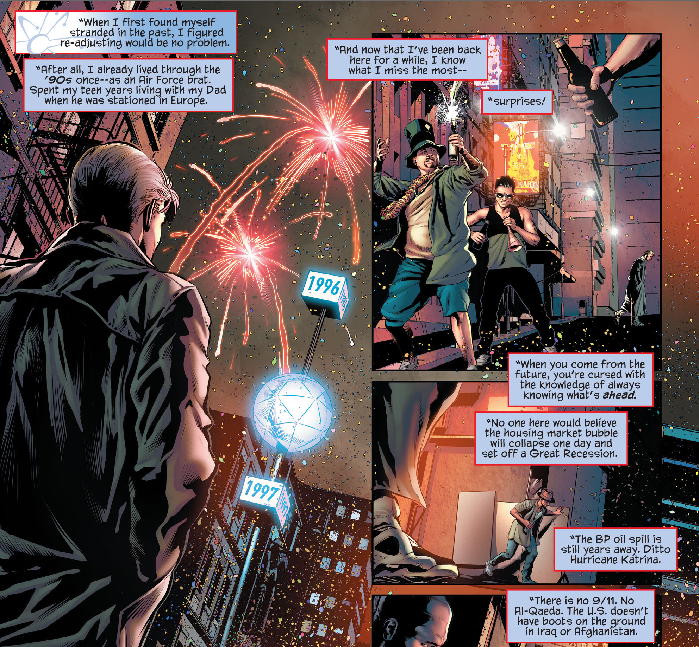 This issue came out on October 19, 2011. 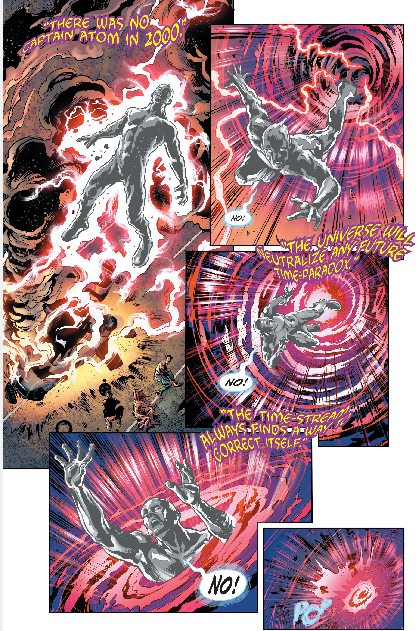 When we last saw the New 52 Captain Atom (excluding his cameo in Justice League International #1), he had been torn apart while trying to extinguish a volcano. 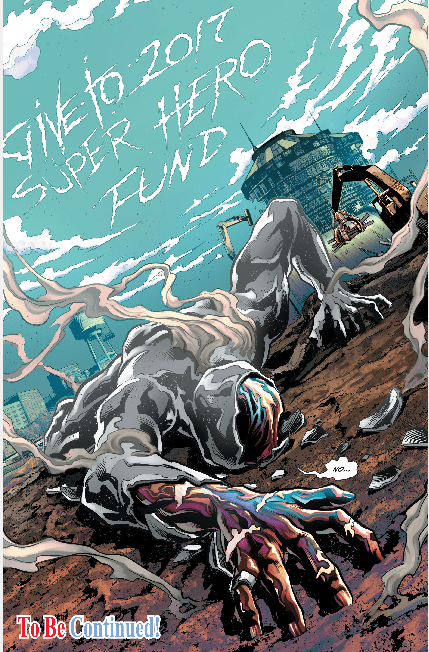 As he was melting down, he thought to himself, “If this is the end, at least I died doing some good for once.” A news reporter covering the story says that Cap vanished right after he put out the mysterious Manhattan Volcano. She suggests he has disappeared because he is hiding something. Meanwhile, Cap begins to reconstitute his body in a nearby river (the East River maybe?). This is not a new power for Cap. 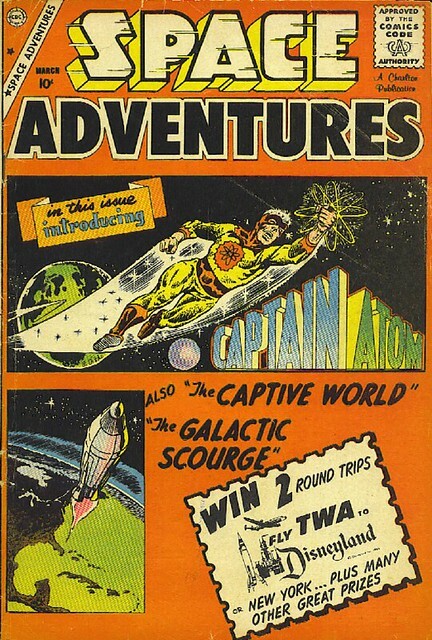 The first time he used it was in his original origin story way back in 1960 (by Joe Gill and Steve Ditko). 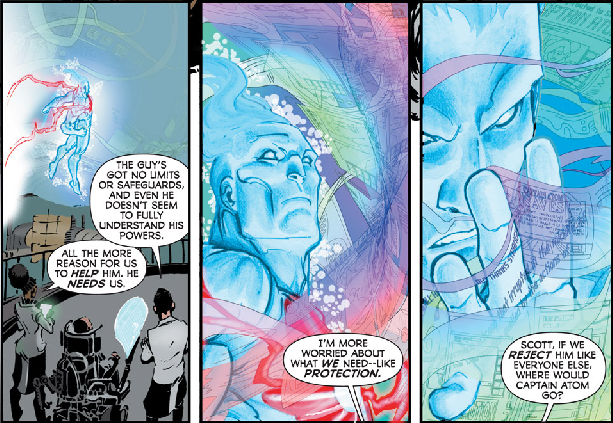 The Modern Age Captainm Atom never used this power (and most likely didn’t have it) but Dr. Manhattan did. 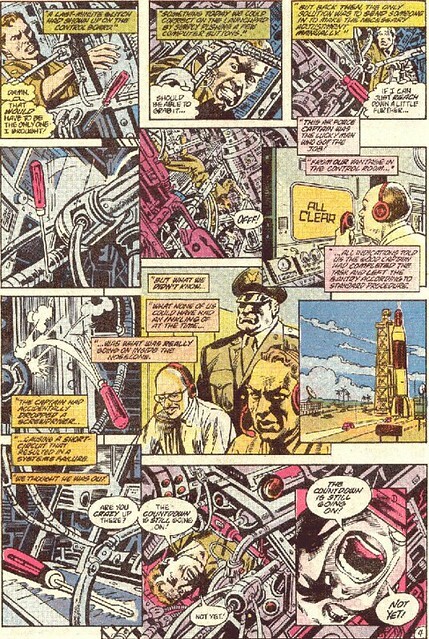 Like the Silver Age Captain Atom, it was the first trick he learned (and he said as much to Ozymandius in Watchmen #12). While it is an interesting power, it is a bit problematic. It means that the New 52 Cap is really indestructible. Godlike. Or, as my stepson is fond of saying, “OP” (over-powered). And Cap doesn’t have a Kryptonite weakness like Superman. What would it take to defeat him? 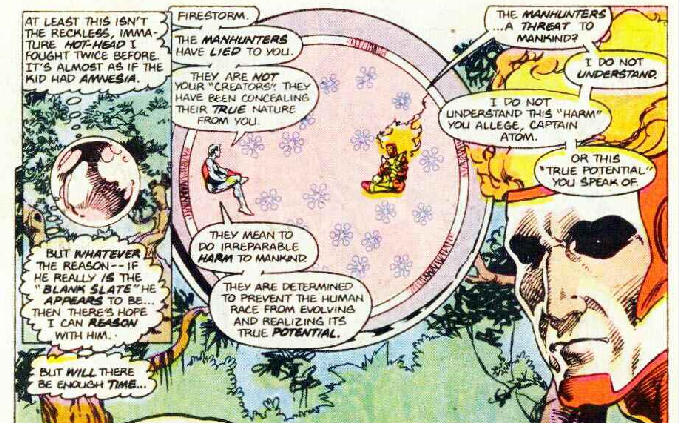 This is the fundamental problem with Captain Atom. He’s just too powerful. Impossible to defeat with no end of powers. Who could possibly challenge him? After the Bronze Age, when the DC Universe was first rebooted in 1985, from which the Modern Age Cap was born, he was less powerful than his earlier incarnation. He worked better as a character. 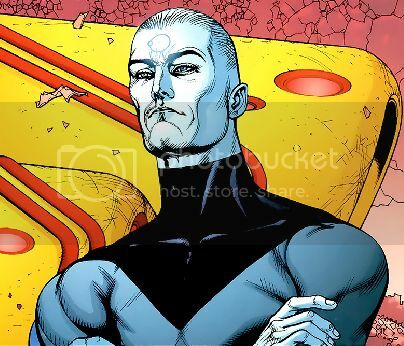 He didn’t lose touch with his humanity as Dr. Manhattan did. 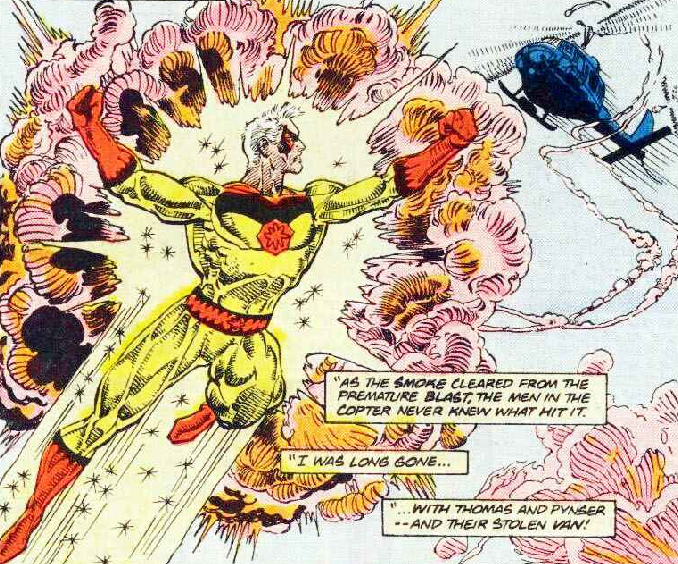 Captain Atom works best when he is not indestructable. At least, that’s my opinion. Anyway, Cap resurrects himself. Cap is briefly pleased that he saved Manhattan from the Volcano, but is soon bombarded by a “strange new energy pattern” pounding his brain. His mind is beset by images and text gleaned from the internet, some of them about himself and not very flattering. 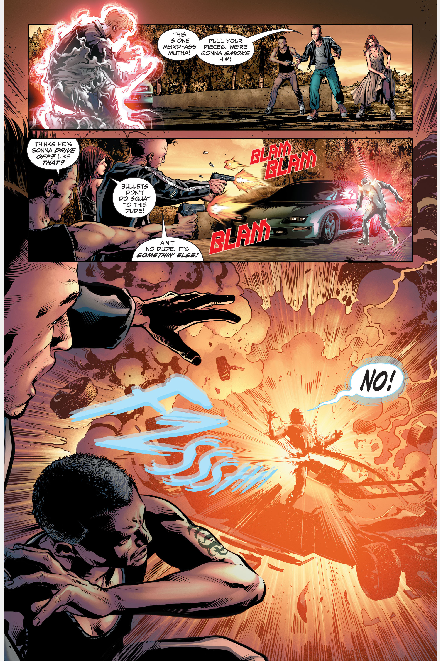 He hurries to the Continuum, where he begs Ranita Carter to “make it stop.” Megala quickly submerges Cap in “superfluid” (your guess is as good as mine) which appears to calm him. 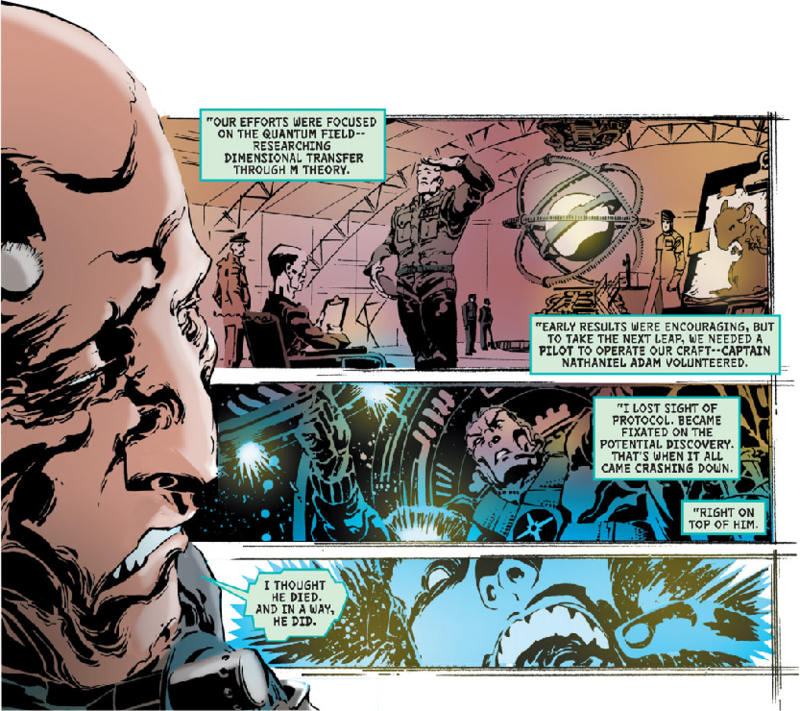 When Ranita remarks that Cap is lucky to have Megala, the doctor reveals that he feels responsible for Cap’s “current state.” He’s surprised Cap confides in him at all. 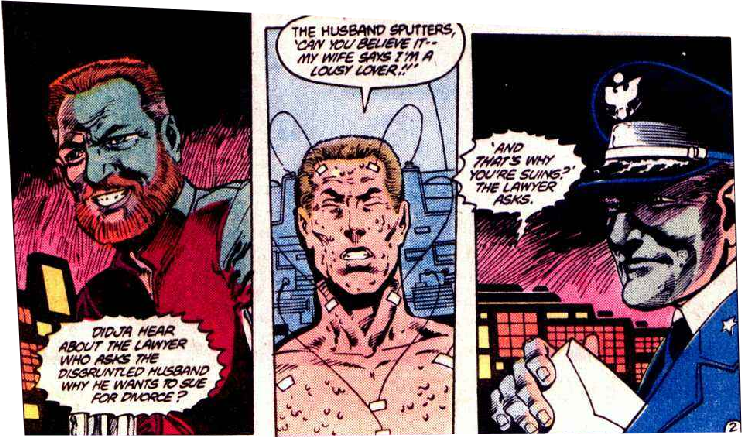 He quickly tells Ranita of how Captain Atom came to be. 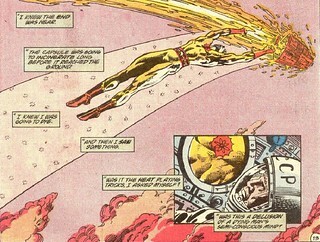 Cap leaves the Continuum and flies about “reading” the internet images he can see in the air around him. He is his own wifi hot-spot. He comes across a message (email?) from a kid dying from cancer who is begging Cap to help him. 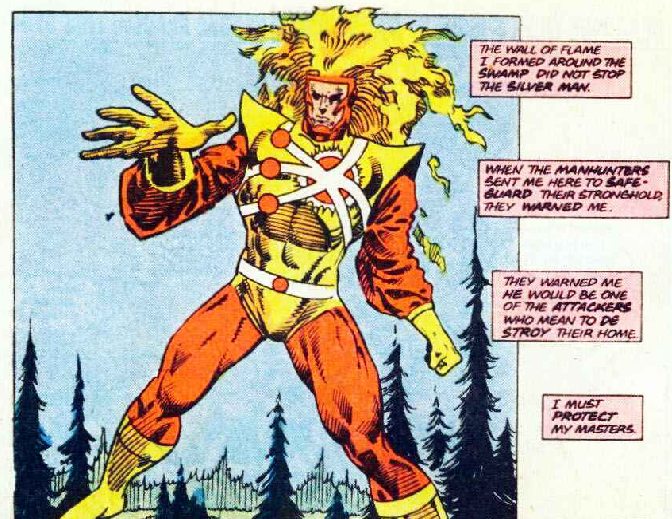 Making himself invisible (just like the original Captain Atom! ), Cap enters the boy’s room at the hospital. He learns the boy (Mikey) has a brain tumor that is more or less inoperable. 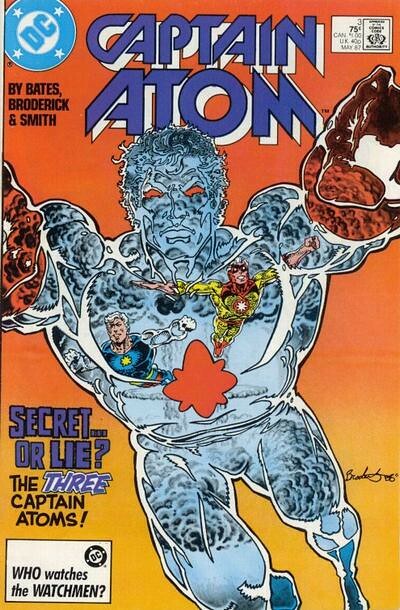 Shrinking himself to a microscopic level, Captain Atom enters Mikey’s body to attack the tumor. 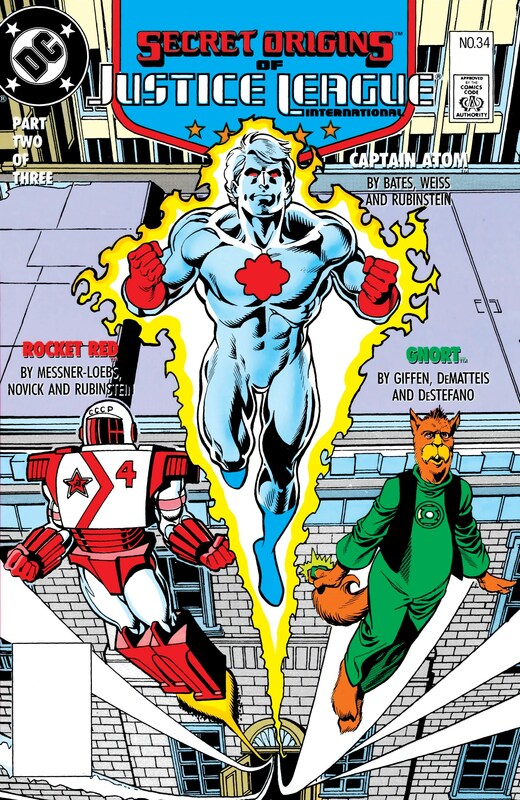 A drug the doctors inject into Mikey mistake Captain Atom for a foreign object (which he is, to be fair) and attack him. 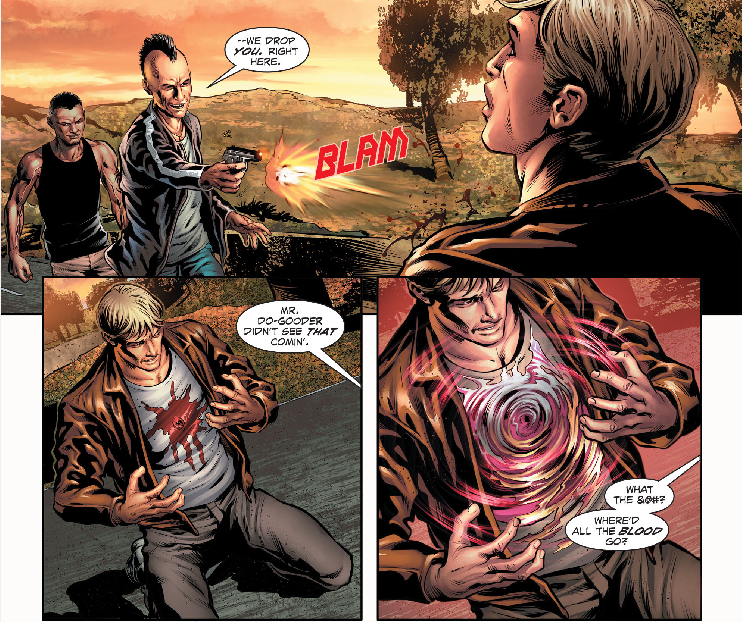 Cap dispatches the attacking drug and focuses his efforts on the tumor he has found. We are treated with a really stunning splash page. This is Freddie E. Williams II and José Villarrubia at their absolute best. And I’m not a huge fan of Williams’ work on this title. This is a truly beautiful work of art. 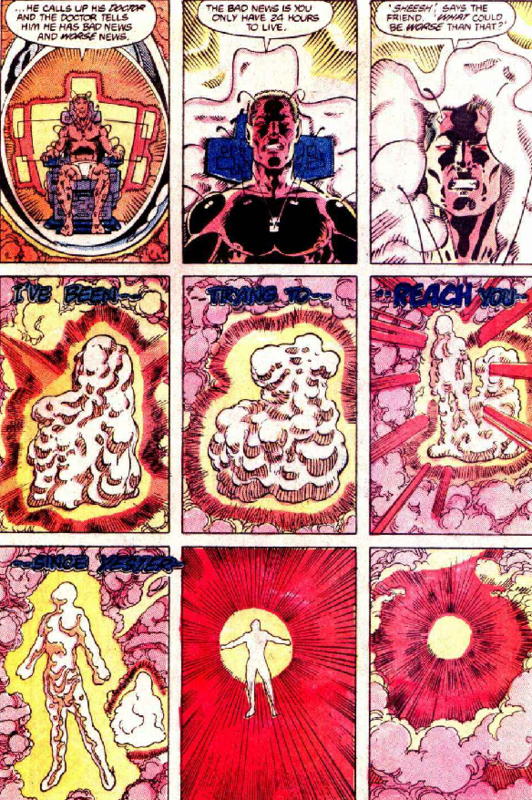 Mikey awakens as Captain Atom leaves his body. The tumor was destroyed. Mikey is certain that it wasn’t a miracle drug that saved him. 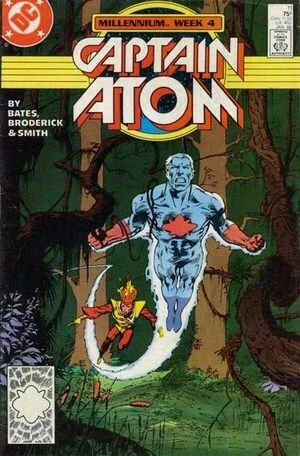 He asked Captain Atom for help and Captain Atom saved him. He’ll live a long, healthy, normal life (cue ominous foreshadowing music here). 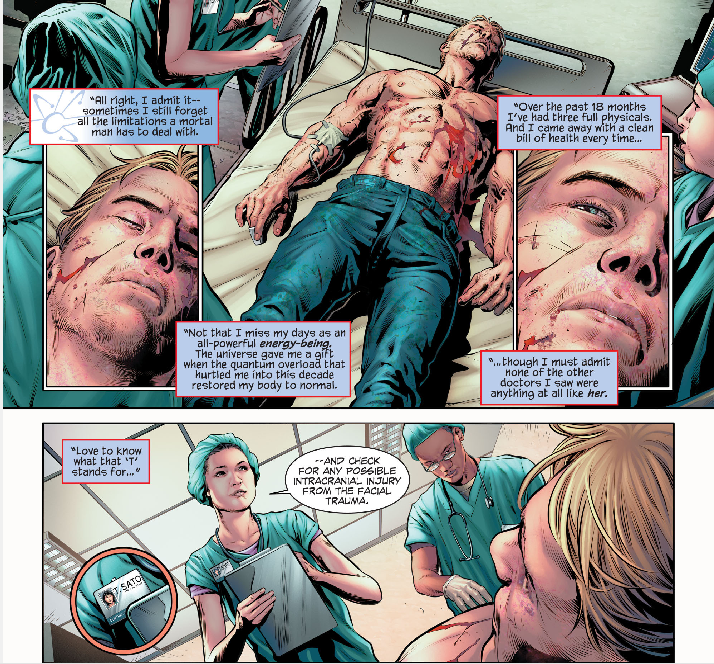 Cap, happy that he has done something non-destructive for once, flies away from the hospital room. Meanwhile, in a dirty city alleyway, a man goes to chase fighting dogs away from his door. He is shocked to discover that one of the dogs has a human face on his back. 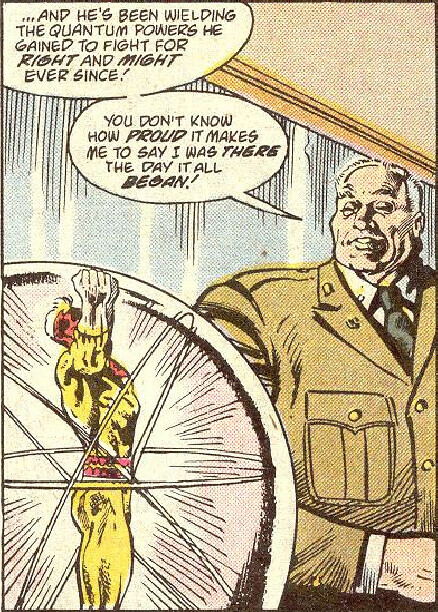 It is the face of the rat guy from the last issue (cue even more ominous foreshadowing music here). I like this issue a whole lot. 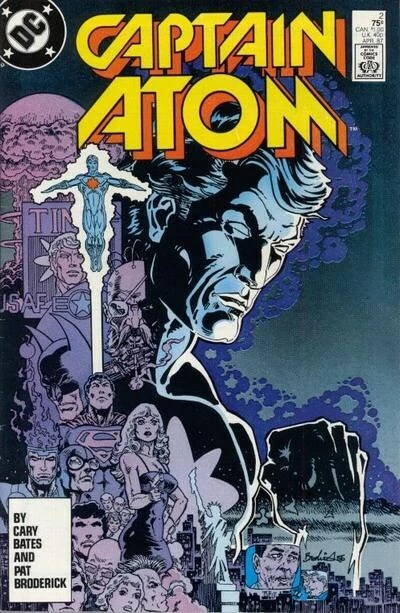 It has a lot of nods to the Silver Age Captain Atom (rebuilding his body atom by atom, healing a sick child, becoming invisible and shrinking) and the Bronze Age Captain Atom (public mistrust of the hero). 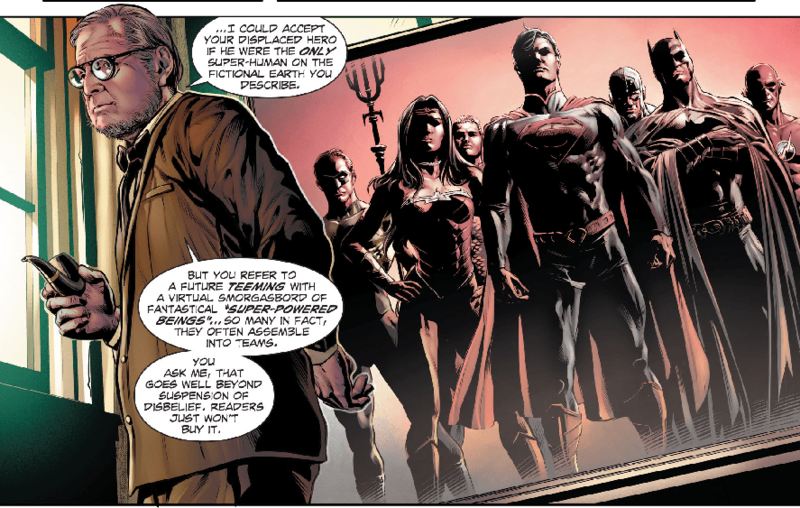 This is a good amalgamation of the Silver/Bronze Age Cap and the Modern Age Cap with a bit of Dr. Manhattan thrown in. Though very short (what’s that about anyway? ), the story was well-told and compelling. And the art in this one was stunning. Upon rereading this series, I’m slowly warming up to Freddie Williams. 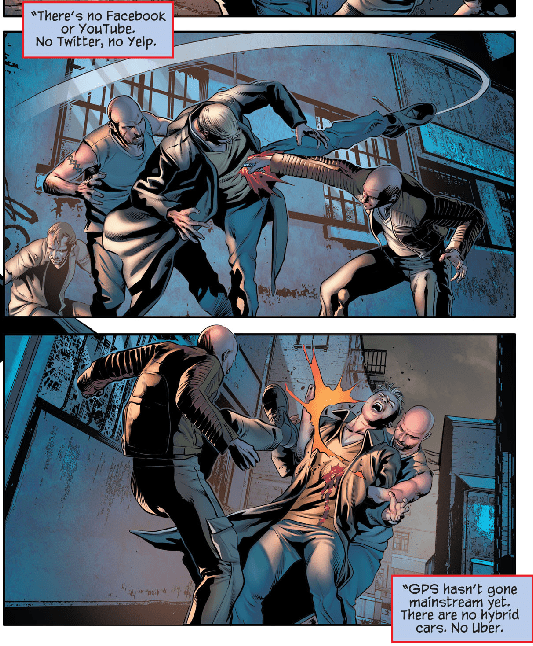 This issue deserves an A.
Nathaniel Adam cropped up a few times in the Countdown series. 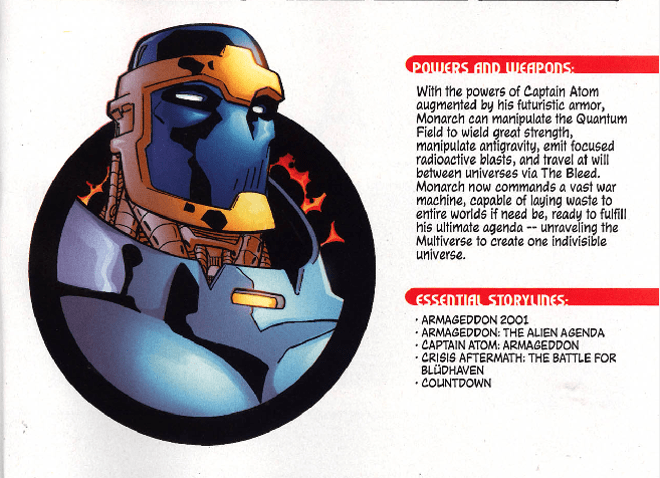 He first surfaced in Countdown #45 as Monarch, but not as Captain Atom until Countdown #43 (the series, like Zero Hour, was numbered in reverse) in the backup story “History of the Multiverse Chapter 7,” written and drawn by Dan Jurgens with finished art by Norm Rapmund. Countdown was a weekly series that ran from May 2007 to April 2008. 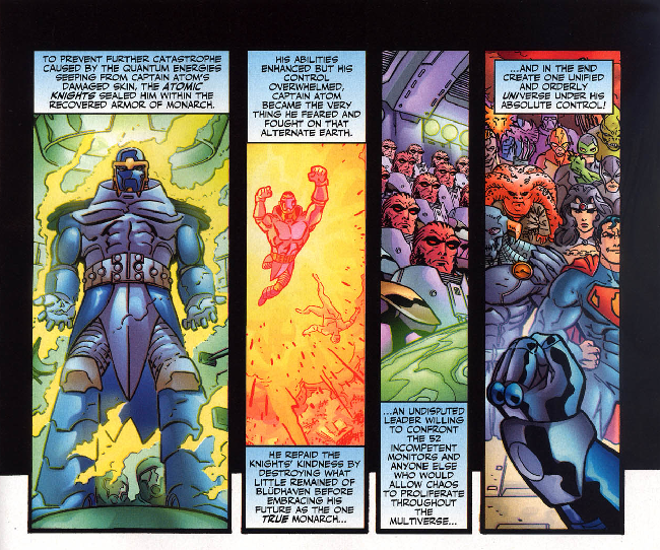 Issues #26-1 bore the title Countdown to Final Crisis. 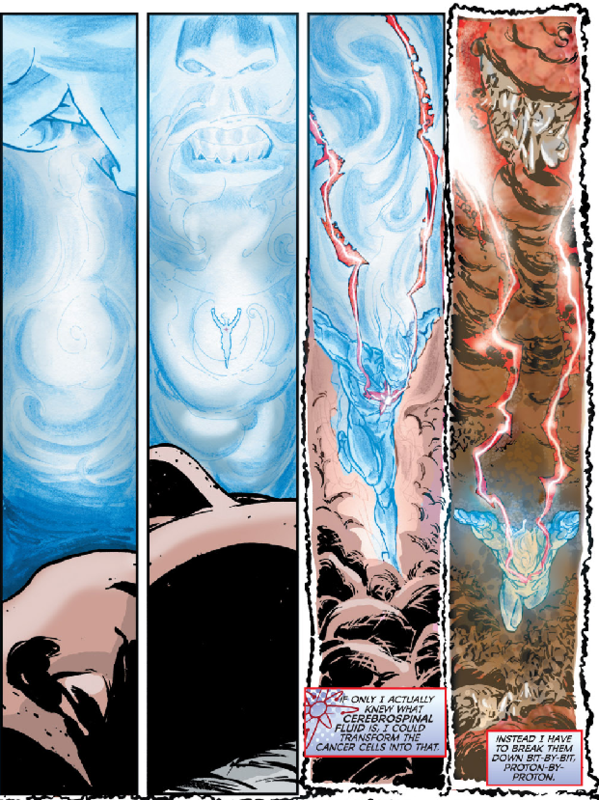 The final issue, #1, was followed by DC Universe #0, which was then followed by Final Crisis. 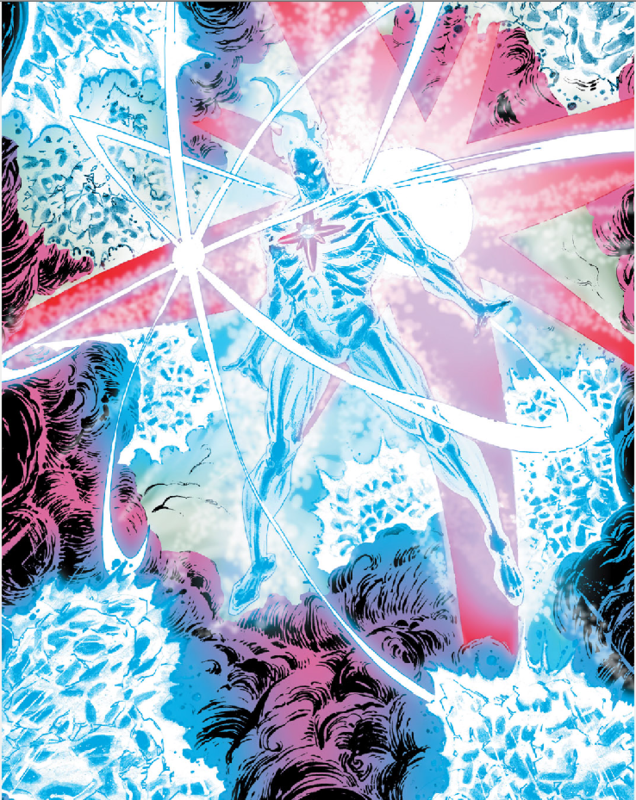 Captain Atom next appeared in Countdown to Final Crisis #17, in the back-up story entitled “The Origin of Monarch.” As the title suggests, it tells the story of how Nathaniel Adam became Monarch. It leaves out the events of Extreme Justice, and actually contradicts them. 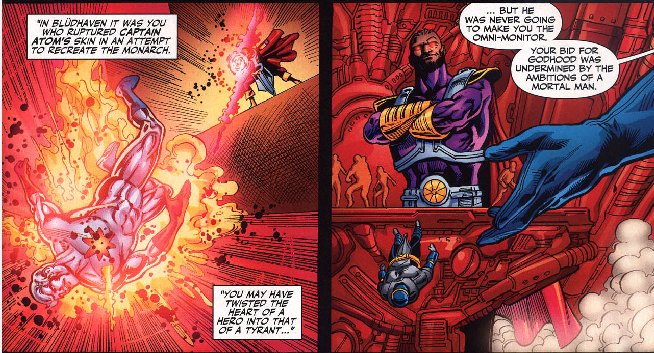 Instead of Monarch being a part of Nate that was left in the quantum field, his rise to power is much more direct. 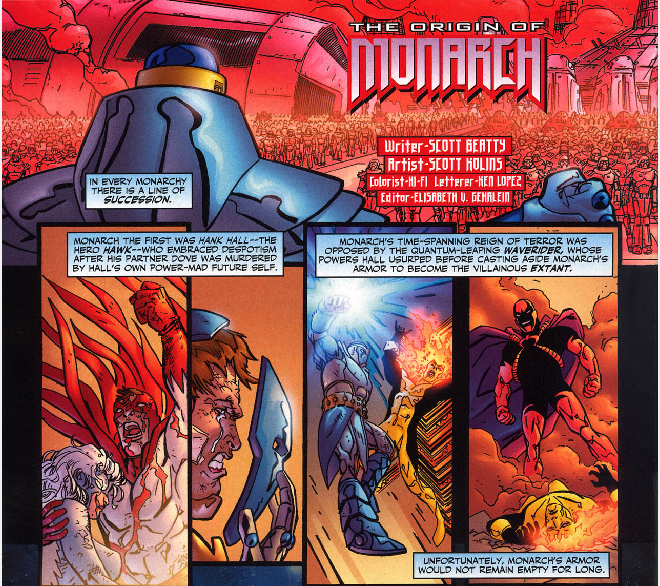 This story was written by Scott Beatty with pencils and inks by Scott Kolins. 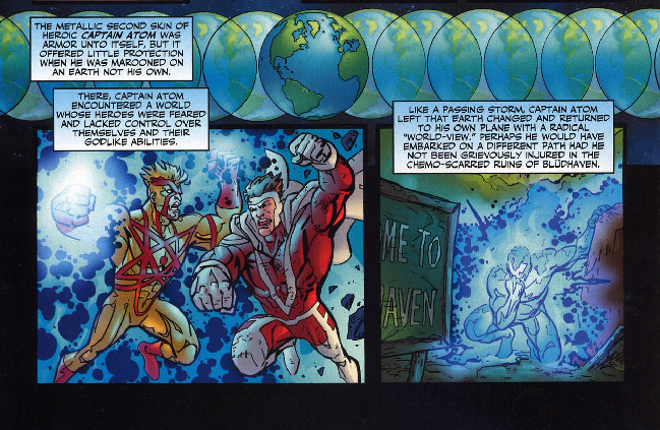 Captain Atom gets a brief mention and cameo in Countdown to Final Crisis #8 as well. 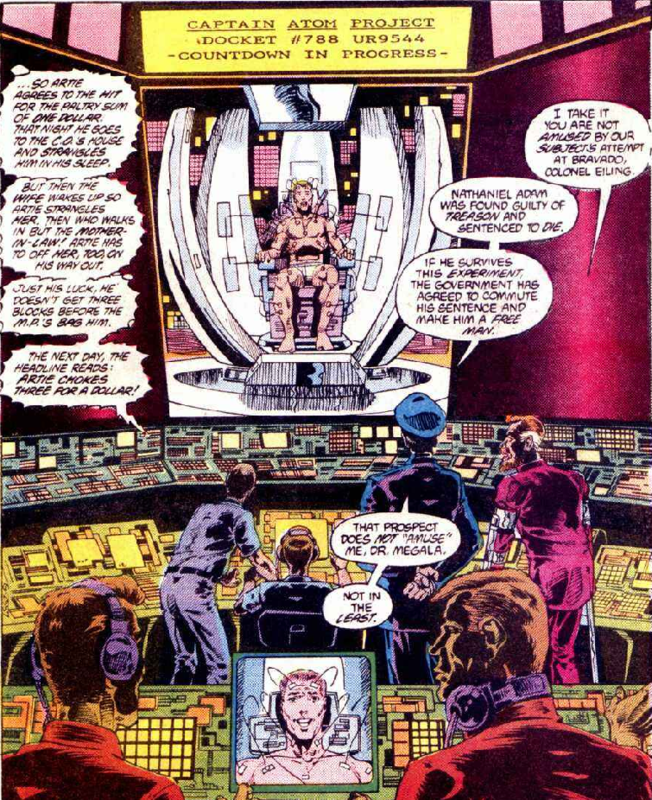 Darkseid reveals that he is aware of the Monitor’s attempt to push Nathaniel into becoming Monarch in Blüdhaven. 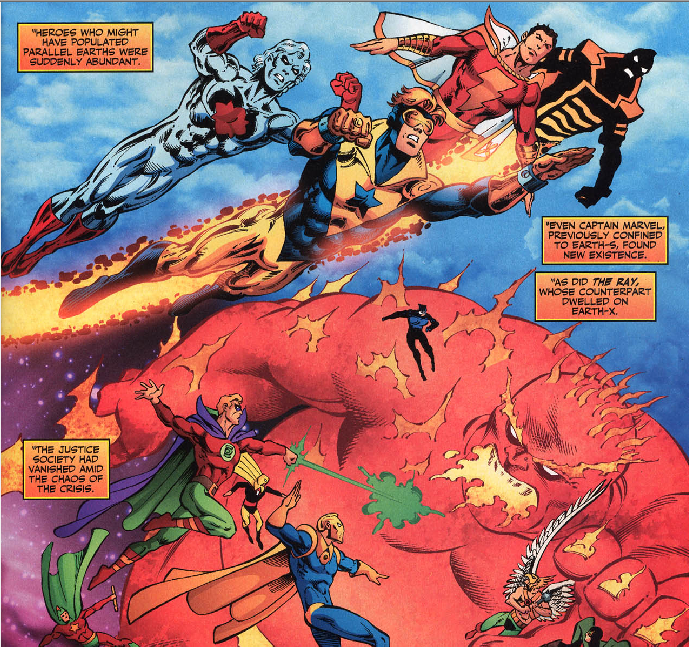 This issue was written by Paul Dini, Justin Grey, and Jimmy Palmiotti with Keith Giffen credited as “story consultant.” The pencils were the work of Carlos Magno with inks by Rodney Ramos.